(HuffingtonPost) Oprah and Jimmy Kimmel teamed up for an incredible series of sketches on Kimmel's post-Oscar show Sunday night. The overall premise showed Kimmel pitching Oprah with some new show ideas for her OWN network, and we seriously want to see every single one of these make it to the airwaves. From "Oprah Repos Her Favorite Things," which has Oprah stealing back a car she gave away ("I get a car! I get a caaaar!") to "The Jimmy and Oprah Interview," where the two hosts interview an increasingly frazzled Jennifer Aniston, to "Oprah After Dark," the less said about which the better, all the shows were instant gold. 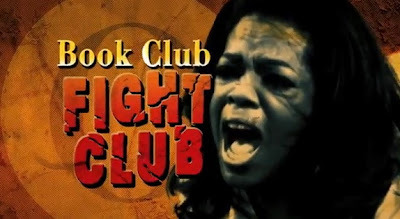 Of course, the absolute greatest show idea was for the "Book Club Fight Club." Let's just say you don't want to question Oprah's knowledge of "To Kill A Mockingbird" or she will go nuts on you.